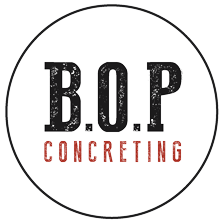 Bay of Plenty Concreting Ltd – we’re Tauranga based concrete and hard landscaping specialists. We provide a wide range of service from concrete laying, cutting & polishing to excavating, slabs and foundations and concrete removal. Got A concrete project? Need a new driveway or floor? Let’s work together! Call 027 875 8888 for concrete service Bay of Plenty wide.